Most buyers worry about buying a limousine without actually looking at the vehicle personally. If you are buying a limousine or sprinter for personal use then I would highly suggest you fly anywhere to look at the vehicle and make sure it suits your needs. However if you are buying for business to service your clients and you are running a limousine service it makes it really difficult to buy sight unseen. You are not alone what to do. You need a vehicle but you can’t afford to leave your office and business unattended. Sure you can send an employee office manager, fleet manager, etc. What will happen if they don’t have your keen eye for detail or don’t look at a vehicle the same way you do. In today’s world of internet there are so many options to put your mind at ease. 2. Youtube and facebook videos are great you be able to get the seller to use fb messenger to send you a video live and walk around the vehicle. Most overseas buyers love skype however the quality of video may depend on the data speed of the person shooting the video. 3. You can always ask the seller to send more detailed pics and shoot a new video to make the sale. The final and most common concern is the vehicles mechanical condition. Now I know every seller will tell you the vehicle is excellent and nothing is wrong which is alarming to hear. The truth is maybe the sales person doesn’t know what the condition is maybe they are selling in consignment. As business professionals you need to take matters in to your own hands by confirming the true condition of the vehicle not by flying out 3,000 miles and catching cabs or renting a car driving all around town trying to get this done while you cell phone is ringing like crazy from you office about everything is needs to get done and fires that need to be put out. Why not be smart your business is better served if you are running it with your hands on the steering wheel. There are some great options that help you make your time more effective lets face it you business needs the equipment but you being in the office is more valuable to your business. Have the seller take the vehicle to the nearest dealership to get it inspected. The downfall to that option is dealerships have been known to miss certain things that would matter to you. If the service manager or tech checking your vehicle know this is inspection for a buyer they may hint on a few repairs that aren’t needed or they just overlook many issues. The typical inspection at a dealership can cost $100-$300 depending on the vehicle. You need to be on the phone and get as much information as you can. If the seller is unwilling to take the vehicle to the dealership for inspection that may be something wrong that they don’t want to be found. They may ask for a non-refundable deposit for their time. This method leaves lots of unpredictable outcomes on the table. Plus Limousines get sold pretty quickly without notice. You need to move fast to get the best buys. You find a good vehicle grab it before it gets sold. The other option to me is the best hire a third party inspection company. As a dealer I have seen a few good ones www.carchex.com Lemon Squad has come to our location to inspect vehicles on the behalf of a customer and test drive as well as hundreds of pictures. Not a bad idea. Saves you time. Allows you to make money for your business. The average cost is around $100-$300 bucks but will allow you to buy the vehicle without sending a deposit to the seller before getting the vehicle inspected. My two cents is have the seller send additional updated pictures and shoot a video of the exterior vehicle engine compartment and test drive as well as a walk through of how the controls work, stereo, tvs, dvd player, temperature test of the ac. If the seller is really motivated they will not have a any problem with doing this. If you need any assistance with buying a limousine please contact American limousine sales in los angeles. 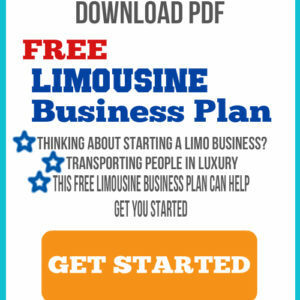 I would be happy to advise you on a purchase of a limousine even if you arent buying from me. I thank you for your time your interest and I look forward to hearing from you.